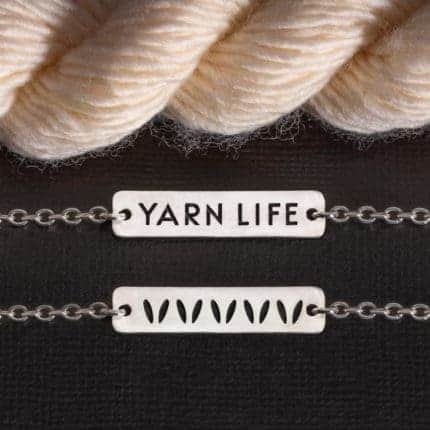 We love yarn minis almost as much as we love yarn cakes! Porterness Studio hopes your new year is starting off with your WIPs humming along. We love yarn minis almost as much as we love yarn cakes. We can’t have ALL the yarn in our local store, but can have a yummy color taste with minis. 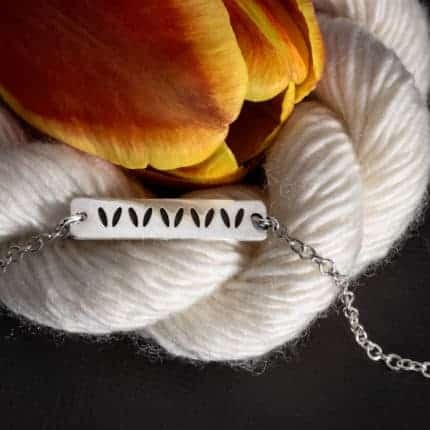 In honor of the yarn mini, Porterness Studio has designed this new necklace. 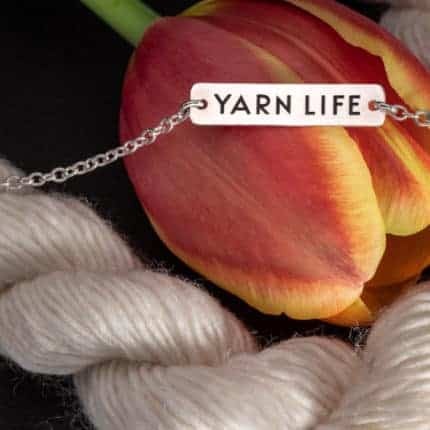 As a member of the Undie Untangled community, you’re the first to know about our new double-sided “Yarn Life” Mini & Stockinette Motif sterling silver necklace. 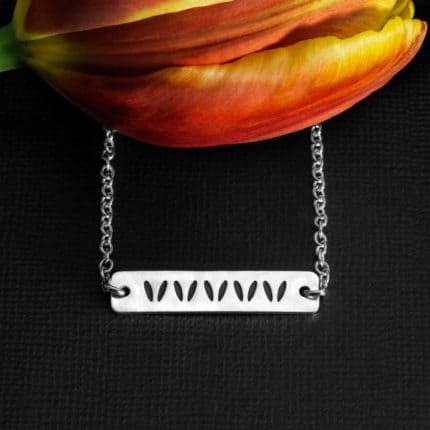 It’s designed to show flip as you wear it during the day to show off both sides. This price is available until Thursday, January 24. This item is made just for you. Please allow 1-2 weeks for production.